South East Asia is a hotspot for global business and home to over 600 million inhabitants. The region has an abundance of technically skilled experts in the area of satellite technology, and a fast-growing economy. This region has a unique geographic position, which allows it to receive all GNSS signals (even some EGNOS signals). 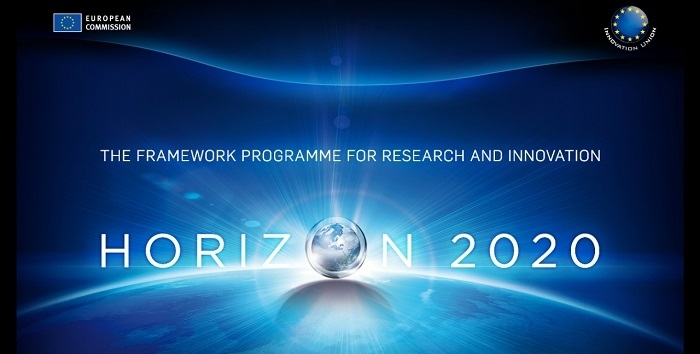 One of the project’s core focuses is to promote Galileo and how it can benefit the region. This work is particularly important as the region lacks its own satellite navigation capabilities and is thus dependent on other national or regional systems. There’s a lot of competition coming from Russia, China and Japan - each looking to tie South East Asia to their GNSS system. However, majority of these systems are military-based or controlled, which of course raises concerns for users in the region. As Galileo is the only civil-operated GNSS programme, it has a unique advantage in the region with vast potentials. For example, the Vietnamese government has issued a regulation that requires all vehicles used for transporting passengers or goods to be equipped with ‘black boxes’ capable of relaying data – which will come from GNSS technology. Many of these local technology companies are looking for suitable providers, but tend to look towards the US, Japan and China instead of European ones. The core of the Horizon 2020 programme is at the NAVIS Centre, a dedicated GNSS R&D centre located in Hanoi, Vietnam. The centre’s mission is to act as a linking entity between Europe and South East Asia within the GNSS sector. Specifically, it aims to promote cooperation between EU and South East Asian actors, promote European GNSS technology, and reinforce international collaboration among players. To achieve this, the centre conducts research, training and awareness initiatives in collaboration with a growing network of international institutions from Asia-Pacific and Europe. NAVIS also provides support to regional policy makers on GNSS technical issues relating to the development of regulations and standards. The facility is also available for both testing and research activities and serves as a hub for establishing new links with regional GNSS stakeholders. It is particularly well suited for testing a receiver’s multi-constellation function, and several EU receiver manufacturers have taken up the opportunity to co-locate their receivers at the centre. To encourage more companies to take advantage of the opportunity, the NAVIS centre has also issued calls for expression of interest, where European GNSS companies can receive vouchers to visit the NAVIS Centre. The purpose of these visits is to provide a company with a chance to experience the centre and all that it has to offer in terms of serving as a testbed for their GNSS equipment and solutions prior to making a commitment to relocate some of their activities here. Whereas the first call was to invite companies to come and see if NAVIS was a good fit for them, a subsequent second call gives these companies an opportunity to apply to receive vouchers to conduct their testing at the centre and network with stakeholders in Southeast Asia. Last year, seven European companies visited NAVIS and started planning their test campaigns. One such company was UK-based NSL, who has developed a GNSS interference and jammer detection system. Originally developed within the GSA-funded DETECTOR project, the company is now looking to commercialize the system. Thanks to the partnership between NSL and the BELS project, NSL has been able to trial their technology in the South East Asian region and to disseminate results with key regional stakeholders. The company is also looking forward to closer cooperation with the BELS partners to develop solutions that ensure safe, secure and reliable use of GNSS in support of a range of governmental applications within the region. These calls are open to any EU-based company working with E-GNSS equipment and solutions and with commercial interest in the region. Successful applicants receive financial support via a voucher worth up to EUR 2500. Applicants can apply at any time during the year, with applications being evaluated every three months. The call will be closed once the available budget has been fully allocated. In order to be considered, companies should provide a short company profile, proof of activity in the field of E-GNSS, a letter of motivation, CV and suggested timeframe for the visit. Click here for more information.